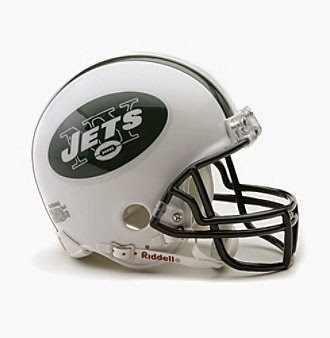 The New York Jets added Michael Vick, Chris Johnson and Eric Decker to their roster this offseason, in an effort to put some points on the scoreboard. Vick will most likely ride the bench most of the season behind Geno Smith, but Johnson and Decker could be the playmakers the Jets offense have missed since LaDainian Tomlinson and Braylon Edwards back in 2010. Last season Chris Ivory and Bilal Powell split carries and scored just 4 times. Smith led the team with 6 rushing TDs. 18 total touchdowns as a rookie, but 21 interceptions. The addition of Eric Decker should help, but the Jets are a run first team under Rex Ryan. Just ignore him. We did not rank him in our QB rankings. Johnson has been a workhorse for the Tennessee Titans since the 2008 season, with at least 250 rushing attempts in each of his 6 NFL seasons. He has rushed for 1,000 yards in each season. Rex Ryan's offense is a good fit for Johnson, and with Chris Ivory and Bilal Powell on the roster, his touches will go down, but a healthy, rested Johnson could bust out some long run for the Jets. We ranked him 20th in our RB rankings. Ivory saw 6 more carries than Powell last year, but gained over 130 more yards. It will be interested to see how they mix in these two with Johnson. Leaving Peyton Manning is never a good career move, but Decker came to New York for the money and to be the #1 WR. Last season, Jeremy Kerley led the Jets in receptions, targets and yards with just 43 (72) for 522 yards. Expect a lot of double teams. He is not a WR1 in fantasy but more of a low end WR2 or a WR3. We ranked him 30th in our WR rankings. Cumberland led the Jets in receiving TDs with 4, but Decker should now be the main Red Zone target. New York drafted Amaro but keep in mind, rookie TEs tend to struggle. We did not rank them in our TE rankings.